There are many ways to prepare ground beef which can make it tasty, interesting, different and enjoyable. Be it Shepherd’s pie or meatballs, beef is very versatile. 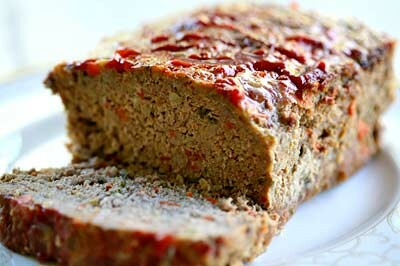 One way to enjoy it is in meatloaf (read here other news). This recipe requires 11/2 pounds ground beef, 1 egg,1 onion, chopped,1 cup milk,1 cup dried bread crumbs,salt and pepper to taste,2 tablespoons brown sugar,2 tablespoons prepared mustard, and 1/3 cup ketchup. To prepare first preheat an oven to 350 degrees F. Then in a large bowl, combine the beef, egg, onion, milk and bread. Cracker crumbs can be used in place of bread crumbs. Next season the mixture with salt and pepper to taste and place in a lightly greased 5×9 inch loaf pan. You can also re into a loaf and place in a lightly greased 9×13 inch baking dish. Next, in a separate small bowl, combine the brown sugar, mustard and ketchup and mix well before pour over the meatloaf. Bake the meatloaf at 350 degrees F for 1 hour. Meatloaf can be served with a fresh salad of lettuce, tomatoes, and shredded carrots with vinaigrette. You can also add cucumbers and olives to a salad for a little extra oomph!